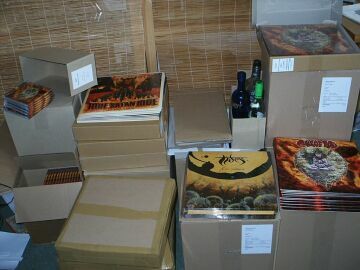 MILLS OF GOD LP & CD IN DA HOUSE! The MILLS OF GOD – Call Of The Eastern Moon LP/CD is finally available! We‘re still super thrilled about it and the advertising department already rotating! ModusOperandi Rec. There‘re the last few copies of the TIDES LP which is sold out now on the picture. And right behind a few bottles of our fave „water“. 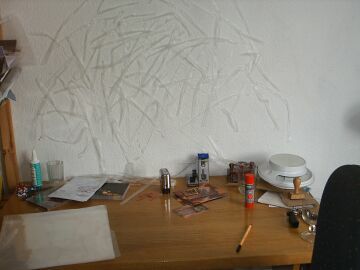 Little messy the desk this time.